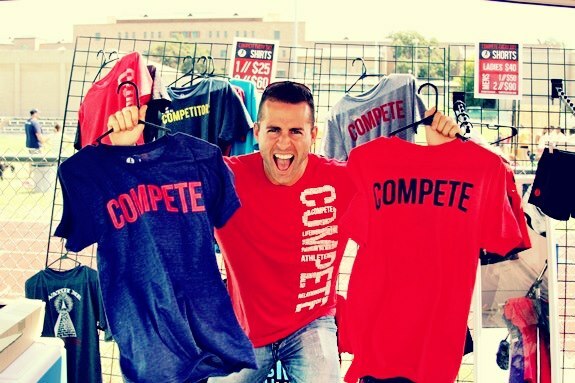 We interviewed Jake Thompson, president and founder of Compete Every Day, LLC, a media and apparel brand on a mission to inspire the world to compete for all they value and those they hold dear. CHESTER: What is the name of your company and when was it founded? Jake: Compete Every Day, LLC was founded in 2011. CHESTER: Where is your office located? Jake: The company is based online, but the physical office is in Dallas, Texas. CHESTER: What are your projected revenues for this year? Jake: Last year we were starting up, and 2013 will be our first full year. We expect revenue to be over $100,000. CHESTER: What makes your company different? Jake: Compete Every Day brings a branded message that everyone can believe in and take from. It may look different to each of us, but the idea of compete for your life hits home with everyone in some way, shape, or form. CHESTER: Why did you found this company? Jake: I founded it because I wanted to inspire the people around the world to compete for their lives. Jake: Ultimately it means to pursue your life and seize each day. It’s my daily reminder to put forth energy and effort toward my faith, my personal relationships, my career, and others. It’s not about being better than the person next to me, but ultimately, being a better me than I was yesterday, while striving to compete for those things in life I hold dear. Jake: Our plan is to build Compete Every Day, LLC into an international apparel brand that with revenue of $50 million a year or more. CHESTER: Are there any exciting new products or innovations on the horizon for your company? Jake: We just launched the Legendary Program, which is a limited-edition shirt program in which select community members will submit their life story and also give back to the community. Compete Every Day will mail members a t-shirt, a wristband, and a specially designed curriculum each month to help them better compete. 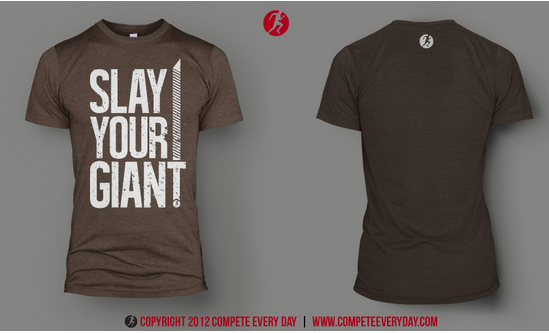 In addition, Compete Every Day will donate 10% of that month’s select shirt sales to a different non-profit organization. To start 2013, Compete Every Day has chosen the Pancreatic Cancer Action Network as its recipient for donations from sales of the Legendary Program and the January t-shirt, David & Goliath. All information provided by the companies and persons profiled or otherwise featured on this page and in this section of the site. The firm (CHESTER) is not responsible for the accuracy of any statements or facts represented therein. Moreover, the information provided therein is for informational purposes only. CHESTER does not advocate the purpose or use of any specific product or services featured. All trademarks, copyrights and other intellectual property are the property of their respective owners and are used herein for informational or illustrative purposes only. No affiliation or endorsement by or of CHESTER should be inferred.